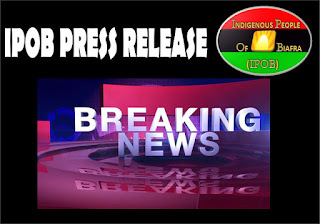 The Indigenous People of Biafra, IPOB, has said that its leader, Nnamdi Kanu had been justified by the submission of the All Progressive Congress, APC at the presidential election petition tribunal that the presidential candidate of the Peoples Democratic Party, PDP, Atiku Abubakar is not a Nigerian. IPOB in a statement, Sunday, said that for APC to have adopted that position meant that facts propagated by IPOB had been accepted by Nigerians. According to IPOB, it was its leader that first made the revelation about Atiku’s nativity in his lecture series on Radio Biafra. IPOB said Kanu would make further clarifications on Atiku on Radio Biafra by 7:00pm Sunday. The statement further read :”Those who over the years derived joy in propagating the lies that Radio Biafra is about propaganda and hate speech are the ones today relying on it to get factual information on constitutional law in Nigeria. “Senior Advocates of Nigeria now depend on Nnamdi Kanu to tutor them on constitutional law and the dysfunctional legal system of Nigeria. Those that referred to IPOB as miscreants are now the same people now quoting and referencing the speeches of our supreme leader Mazi Nnamdi Kanu in their legal depositions. IPOB contended that since APC based its argument over the non-indigenship of Atiku, why then had it found it difficult to believe Kanu over President Muhammadu Buhari’s nativity.